The Alchemy Wars series, by Ian Tregillis, has consistently surpassed my expectations over the last three years. The Mechanical, The Rising, and The Liberation have all been great, and each sequel improves on the previous in small ways. For those of you unfamiliar with the series, you can find reviews of books one and two here. The story is about an ongoing conflict between the Dutch, the global superpower, and the French, the only holdouts of Dutch world conquest. The Dutch have an army of mechanical servants, soldiers, and marvels that have made them basically untouchable – and the French have invented a range of chemical weapons to try and counter them. The final book in the series follows the same pattern as the previous, with two POVs belonging to Jax (a Dutch mechanical), Berenice (a French spy), and a third new perspective. Our new POV for The Liberation is finally from the Dutch side, giving us an insightful POV into the final conflict from all angles. It is always hard to talk about a final book in a series without giving spoilers, but the final books does everything I could want from the end of a series. The characters in The Alchemy Wars are fascinating, Berenice in particular. Tregillis is really good at character growth, and it is a joy to watch his creations change as the books go on. They are shaped by tragedy and success, and some of them become stronger, and some of them break. The entire cast feels so organic and real that I might have to admit Tregillis is one of the strongest character writers I have ever read. In addition, the tech throughout the series only gets cooler. It feels like Tregillis has some awesome new piece of machinery or science to show you every few chapters in all three books, making the entire series exciting and thrilling to read constantly. One thing I really appreciate is that steampunk often feels like a polarizing genre, with some people absolutely hating it. However, The Alchemy Wars does a great job being appealing to everyone by moving the steampunk awesomeness to the background and focusing on a thrilling historical fiction plot with incredible characters. Tregillis is also great at writing emotionally intense scenes, particularly in The Liberation. The combat is ridiculous and Tregillis’ descriptions of humans fighting mechanical haymakers on legs that will mulch you for one misstep is awesome. The books also do not give plot armor to anyone or anything, something that is much more common in historical fictions (unsurprisingly in real wars A LOT of people die). There are some truly grisly and upsetting deaths, though I would never describe them as gratuitous or there for shock value. 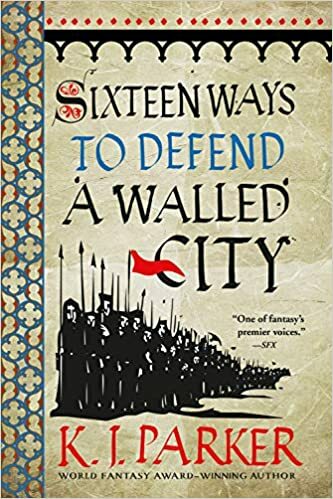 Tregillis continuously wants you to remember that wars are terrible, people die, and that this is not an adventure (a lesson Berenice has to learn in the earlier books). The Liberation sees the stakes, combat, and horrors of war reach new heights making it easily the most intense book of the three. In summary, I honestly did not expect a lot from The Alchemy Wars when I picked it up. I was intrigued by the Dutch vs. French premise, and was hoping for some cool combat at most. What I found was one of the most thoughtful and exciting series I have read over the last few years, with some of the best characters I have ever read. The series is definitely worth your time and I will be purchasing the rest of Tregillis’ catalog, past and future, when I get a chance. For the third and final time, The Quill to Live recommends The Alchemy Wars, do yourself a favor and pick all of it up. The Mechanical, by Ian Tregillis, was one of my top books of 2015, so it should be no surprise that I was excited for the sequel – The Rising. For those of you unfamiliar with the original book, it is a historical fiction that follows multiple points of view, telling the story of a steampunk war between the Dutch and the French. The Dutch have created animatronic slaves called mechanicals, robot warriors bound to their will. The mechanicals are efficient killing machines, and have crushed every army they have come up against with the exception of the French chemists. What most don’t realize is that the mechanicals are intelligent coordinated machines, and they are starting to break free. Our first book ended with a bang, and the second hits the ground running. One of the previous POV’s has been eliminated, and a familiar face has risen to take their place. Our story revolves around Berenice – an excommunicated spy master, Jax – a rogue mechanical, and our new face – Hugo Longchamp, a French captain of the guard. Much of the quality of the writing, worldbuilding, prose, and character development remains the same (great) from book one, so let’s talk about the differences. One of the major new elements to The Rising is the fact that Tregillis’ creativity was kicked into high gear. The book is a cavalcade of new and interesting inventions from all fronts: French, Dutch, and Mechanical. Tregillis does a truly impressive job of both making the Dutch mechanical army seem like an unstoppable war machine, while also coming up with creative and inventive ways for the French to stall and deter them. On top of this, the character development and growth in the story is phenomenal. The Rising is about change, both in the characters and the world at large. Tregillis has written flawed, interesting, and likable characters that do a great job of feeling like real people. The Rising sees each of the characters exploring their flaws, reminiscing on their mistakes, and questioning their beliefs, but do it in an endearing way that most book characters fail to achieve. Each character must question what they know and think and then must decide the path they want to take. Surprisingly, the characters choices surpassed my expectations in many instances, with some showing major growth and others stagnation. However, the book did have two problems I wanted to address. The first is that some of the scenes were incredibly hard to follow. There was one scene at a mining town that I had to read about four times before I was able to understand what was happening. In addition, in some instances Tregillis goes into wonderfully explicit detail about how the magic of his world works, and in others he makes vague hand gestures. I expect that more will be revealed in time, but it made some passages of the book difficult to conceptualize. In addition, the ending of The Rising was telegraphed with a bonfire you could see a county away at about the 60% point. It was as if each character said they wanted to figure out how to paint a door, and each character held one item of the equation: door, paint, and brush. I would have enjoyed it more if there had been a little more surprise in the ending, but the ending was pretty great despite the obvious telegraphing. The Rising continues the excellent quality of writing and story from The Mechanical, while also improving in a number of areas to make an overall very strong book. I am extremely excited about the sequel and the book has cemented Ian Tregillis as one of my favorite historical fiction writers of all time. If you are looking for an imaginative historical fiction with steampunk and Dutch villains, The Quill to Live definitely recommends The Mechanical and The Rising by Ian Tregillis. The time has come for ‘Best of 2015’ threads and to reflect on all the wonderful books I enjoyed over the year. This piece will address my top 10 reads published in 2015, but is missing some of the amazing older books I read throughout the year. I read roughly 80 books this year, about half of which (40) were published in 2015, and the following books are my top picks. I found the new releases this year surprisingly less powerful than many sequels. Last year I gave over half the top 10 spots to new releases, whereas this year only three made the cut. It has been a year of very powerful sequels, in particular second installments of series. With that said, let’s talk about some of 2015’s gems and please note that some of the blurbs link to my full reviews of the books. 10) Knight’s Shadow by Sebastien De Castell – one of my top five books from 2014 was Traitor’s Blade, the first of the Greatcoat series, for its incredible humor, emotional impact, and great cast. The follow-up, Knight’s Shadow, was a great addition that explored some large growth in the trinity of main characters, while still keeping the same powerful voice and tone from book one. The plot evolved nicely and the general quality of the book stayed consistent with Traitor’s Blade, but there was slightly less emotional impact in the second novel. With two demonstrations of consistent talent I am eagerly awaiting De Castell’s third entry, Saint’s Blood, in 2016. 9) The Traitor Baru Cormorant by Seth Dickinson – The first of the three entries on the list to not be sequels. The Traitor Baru Cormorant is a story of cultural warfare and a young girl whose home is eaten by an oppressive republic in her youth. To fight back, she becomes a cog in the great machine that is the republic and tries to bring it down from the inside. While suffering from some pacing issues, The Traitor Baru Cormorant brought a ton of new ideas to fantasy warfare and is a very different journey than your typical fare. The book has a fast pace start and end, but suffers a little in the middle. Regardless I am looking forward to more from Seth Dickinson. 8) Twelve Kings in Sharakhai by Bradley P. Beaulieu – The first of a new epic fantasy based in an Arabian setting. The story follows a girl named Cena, a gladiator in Sharakhai, as she tries to survive in an incredible city ruled by twelve kings in the center of a desert. The book had a very slow start but picked up pace rapidly after the first 20%, continuing all the way to the last page. With Bradley having found his groove I cannot wait to pick up the sequel to see where the story will go. 7) The Mechanical by Ian Tregillis – I read a lot of good historical fiction this year, with The Mechanical taking the win by a small margin. 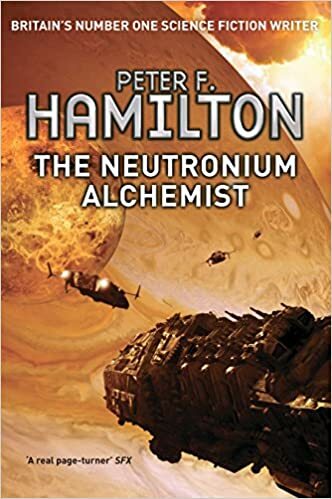 With its original setting, steampunk science, and character growth it was a refreshing read that distinguishes it from its competition. The story of The Netherlands and France has had me looking for historical fiction of a wider subject than WWII or England. The sequel, The Rising, releases next week and I will be picking it up immediately. 6) The Autumn Republic by Brian McClellan – The only finale to make the list, The Autumn Republic finished off a series I don’t feel close to done with yet. McClellan’s world is gigantic, and with the close of this series I feel like we have only seen the tip of the iceberg. Despite the ending feeling a little too quick, McClellan has finished a series to be proud of that maintains a high quality and exciting ride the entire way through. 5) Nemesis Games by James S. A. Corey – The Expanse novels are rapidly becoming my favorite purchase every summer (as they are released consistently every year in June). This series has now released five out of its nine novels and I have been blown away every single time. Every novel follows new perspectives, new challenges, and pushes the conflicts to new heights. I do not know how Ty Franik and Daniel Abraham are going to top the levels of panic and excitement Nemesis Games gave me, but I have said that about every single release. The books continue to both be a continuation of the greater series, and almost completely self contained at the same time. If you haven’t picked up any of The Expanse series yet, or have been waiting to read more, I highly encourage you to do so. 4) Firefight by Brandon Sanderson – Published early in the year, lots of people have overlooked this sleeper. Steelheart, a novel about powerless humans hunting super heroes, was a surprise hit with me. I decided to read it on a whim, despite not loving the premise, and was blown away by the result. That being said, the first novel was very self contained and reached a pretty definite conclusion at the end, giving me a lot of concern where Sanderson was going to take the series or if it could remain good. The fact that Firefight is so much better than Steelheart was very hard to process at first. Sanderson takes his winning formula from book one, and makes it deeper, more intense, and simply a lot cooler. 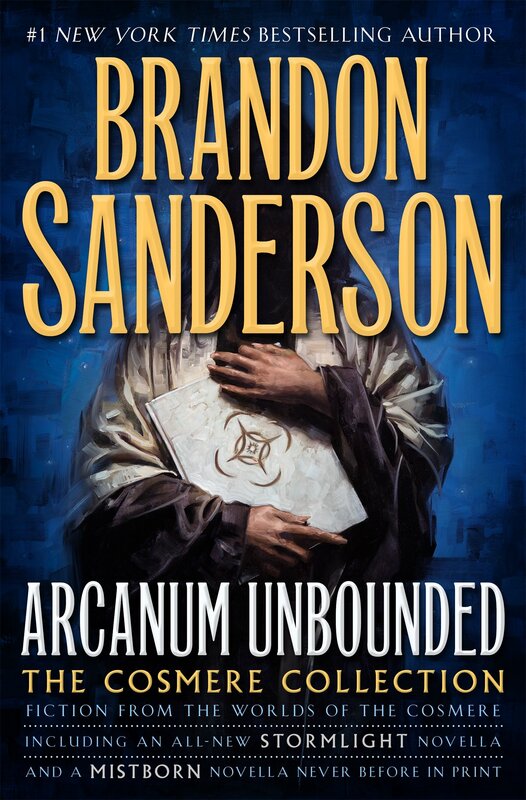 Sanderson’s talent for weird magic is on point with his collection of interesting super powers and the plot has a lot more emotional weight than it did in book one. The finale, Calamity, comes out next February and is one of my most anticipated books for 2016. 3) The Price of Valour by Django Wexler – The Shadow Campaigns keeps creeping up my lists the more and more I think about it. The third installment of five, The Price of Valour is proof that Wexler can learn from his mistakes and has no shortage of imagination. The Thousand Names, Wexler’s debut, was an incredible flintlock fantasy about a remote military campaign that was fast, exciting, and surprising complex. Its sequel, The Shadow Throne, was an attempt to expand the world from the first book and double the cast. While The Shadow Throne had a metric ton of new things I liked, it also felt like it lacked the exciting pace and style of Wexler’s Debut;however, The Price of Valour has it all. With the pacing and intensity of book one, and the amazing cast from book two, the third Shadow Campaign novel is the strongest so far and continues to unravel the gigantic web of mystery that covers the series. 2) Half the World by Joe Abercrombie – Half the World is the strangest book on this list to me. The second novel of The Shattered Seas trilogy, it stands miles above its prequel and sequel. Half a King (book one) and Half a War (book three) were both good Abercrombie novels (for those of you who know what that means) but neither is close to the level of Half the World. The second novel follows two perspectives, Brand and Thorn, that play off of one another in a truly magical way. It is the story of two people finding their place in the world, realizing who they are, and going on a journey. I have never seen better use of multiple perspective and the book led me on a emotional roller coaster from start to finish. This book is definitely one of Abercrombie’s finest pieces of writing. 1) Golden Son by Pierce Brown – Red Rising is a really enjoyable book. It simultaneously steals all the things that are good from series like The Hunger Games, Game of Thrones, and Ender’s Game while also creating both an imaginative and original setting and an exciting plot. It could simultaneously be described as a guilty pleasure, and an imaginative look as space colonization and class segregation. Red Rising had a pretty damn good thing going for it at the end of book one, and sets itself up to just reuse the incredibly powerful formula again in the sequel Golden Son… and then Pierce Brown decided to throw all of that momentum out the window and go in a completely different direction. The result is a book that felt like a massively different experience from Red Rising with the connecting theme being that both books are incredibly good. I was so confused as to why Pierce Brown would ditch his Red Rising gold mine until I was 10% in and read the entire book in one sitting. This book made me feel like a child again, discovering the wonder of reading for a first time and blowing my mind at every twist and turn. The finale, Morning Star, comes out in February and I highly recommend you check the series out. I have read a lot of historical fiction this year, and I’m pretty tired of England. When writing a historical fiction, writers tend to go for a well known and popular time in history to make the book more appealing. There is nothing wrong with this, these times (like WWII) are popular because they are interesting. On the other hand, it has been causing me some historical fiction fatigue. This is just one reason that The Mechanical by Ian Tregillis, a steampunk historical fiction about The Dutch vs. the French in the early 1900s, is one of my favorite books of the past year. In The Mechanical we meet Jax, a clakker automaton slave to the Dutch Empire. He is one of our three main protagonists, and a mechanical man, built and given sentience by the Dutch to serve them for all time. He and his brethren have given birth to a golden age for the Netherlands, advancing their science and industry at unparalleled speed and making their armies unstoppable. However, Jax is not a willing subject of The Netherlands, but a slave with no free will; something he hopes to change. Clakkers are treated like furniture, with not a thought or care for the minds trapped inside these powerful machines. Clakkers do occasionally break free of their chains, but the early pages of the book treat us to the horrors waiting for any clakker who escapes from the mental geas that controls them. In addition to Jax, we have Luuk Visser and Berenice Charlotte de Mornay-Périgord (their names are a handful). Our final two protagonists are a spy and spymaster for France, the final country holding out against Dutch tyranny. Luuk is a spy in the field operating out of Amsterdam and Berenice is spymaster living in France’s final stronghold in North America. The French have managed to hold out against the Dutch with their brilliant chemistry that allows them to combat the Dutch mechanical men. Thus we have the setting for our story; Jax searching for freedom, Luuk trying to survive in the enemy capitol, and Berenice trying to find a way to stop the unstoppable behemoth that is the Dutch. The character development in the story is impressive. Jax goes on a journey of self discovery and growth as he slowly works towards his freedom. Luuk struggles with his allegiance to France as he is put through horror after horror in Amsterdam. Berenice copes with having to achieve the unachievable, turning the tide in a war that is already lost. Each character brings a lot to the table, and leaves with even more. The 1900’s that Ian Tregillis has built is imaginative and detailed in its use of steam, engineering, and chemicals to build a fascinating world. From living airships to weaponized adhesives, there are lots of fresh ideas (at least for me) that kept me excited to learn more and more. The book is short and sweet, with a well paced plot that kept me interested the entire way through. My one complaint is that the book ended on a fairly large cliffhanger at the end of the story that felt a little abrupt. However, I will soon be able to satisfy my need to discover what happens as book 2 in the series, The Rising, comes out next month. If you are a fan of historical fiction, and are looking for something a little off the beaten path, I encourage you to pick up The Mechanical. Even without its unique flavor it is a solid book, but the combination of fresh ideas and talented writing made this one of my favorite books of the year.